Patients who used Nexium and other proton pump inhibitors (PPIs) for heartburn via prescription ran a higher risk of dying than patients prescribed other drugs, a recent study indicates. Researchers in BMJ Open, a medical journal, compared the outcomes of patients who took Nexium and other drugs in the PPI class versus outcomes of patients who took another class of medications for heartburn, the H2 receptor antagonist. These include Pepcid AC, Zantac and Tagamet. The researchers also compared outcomes of patients who took no medications. The patients who took Nexium were 25% more likely to die than either of the other groups. Nexium and other drugs in the class, including Prilosec and Prevacid, are prescribed for heartburn. Prescription strength may be higher than the same drug purchased over the counter and taken as recommended. PPIs decrease the volume of stomach acid the body makes, thus resulting in fewer symptoms of heartburn. PPIs were long believed to be safe. Recently, though, studies have begun to indicate that the drugs pose significant risks of damage to a patient’s kidneys. These risks are potentially fatal. H2 receptor antagonist drugs do not pose any risk of kidney damage. The publication of this research is occurring as the number of Nexium lawsuits continue to climb. Patients and former patients have charged that drug manufacturers were negligent in withholding safety data from both doctors and consumers. Three years ago, makers of PPIs were mandated to add new warnings about the risk of heartburn to risk of diarrhea associated with by the FDA. At the same time, they were required to warn about the reports of acute interstitial nephritis associated with the drugs. The latter condition can cause inflammation in the kidneys and open the door to more severe health issues. The 2014 information was the first and sold indication on the label about kidney damage risks. Observers have noted that it tended to be obscured in other warnings and information about the drug. Then, in Spring 2015, CMAJ Open published a study noting that heightened risks of kidney injury were associated with use of Nexium, Prilosec and similar heartburn medications. Injury to the kidneys can lead to kidney failure, which can in turn lead to dialysis or even death. Early last year, JAMA Internal Medicine published another study indicating that users of heartburn drugs like Nexium run a greater risk of chronic kidney disease. In Spring 2016, the same journal published a study showing that users of PPIs, including Nexium, are 96% more likely to have kidney failure and 28% more likely to have chronic kidney disease after use lasting 5 years. 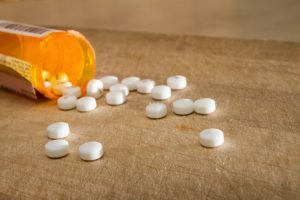 Product liability claims filed so far have noted that warnings concerning the kidney risks associated with Nexium would have allowed patients to know and thus stop taking the drugs, to avoid such severe and possibly fatal conditions. Given the number of lawsuits filed and the similar questions of fact and law they contain, the U.S. Judicial Panel on Multidistrict Litigation (JPML) is slated to deliberate on consolidating the cases before a sole federal judge shortly. If they decide in the affirmation, discovery and pretrial events will be centralized.